SPRINGDALE, ARK. 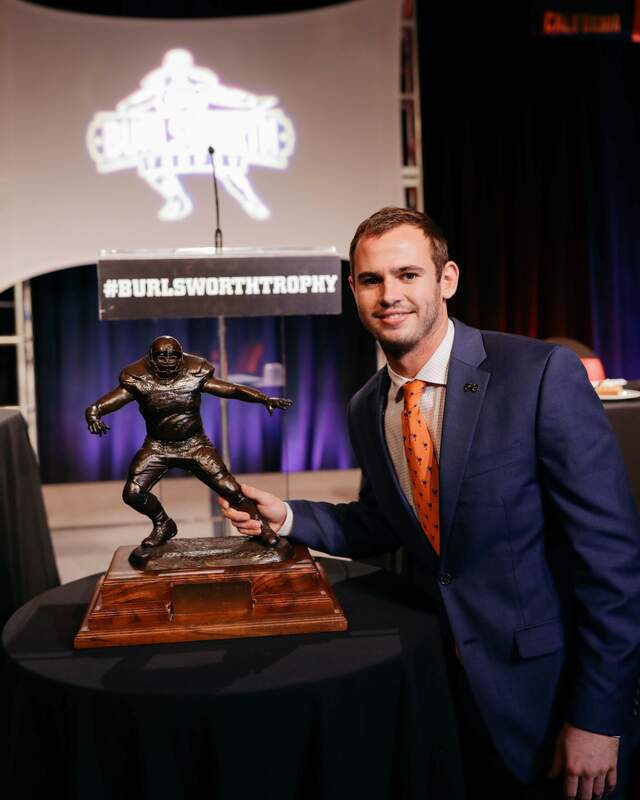 – The Burlsworth Foundation announced Monday that wide receiver Hunter Renfrow was named the recipient of the 2018 Burlsworth Trophy, presented annually to the most outstanding football player in America who began his career as a walk-on. 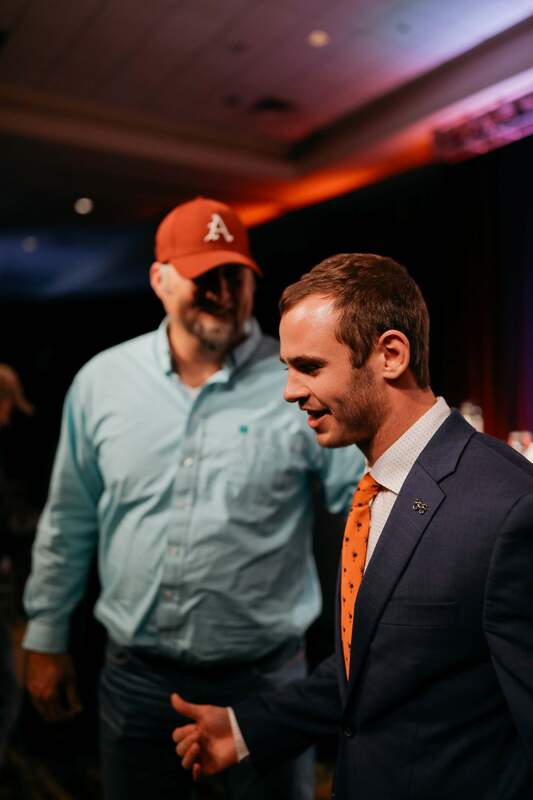 Renfrow collected the award from the Burlsworth Foundation and the Springdale Rotary Club at a luncheon in Springdale, Ark. 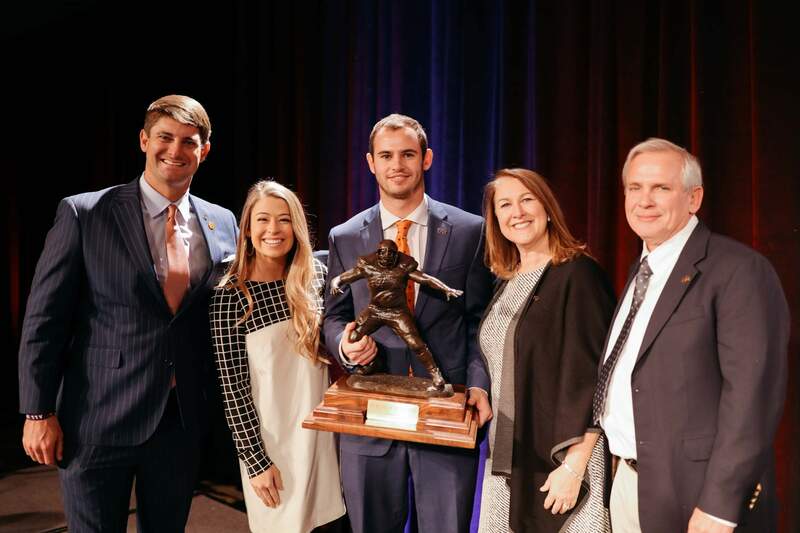 A former triple-option quarterback at Socastee High School near his hometown of Myrtle Beach, S.C., Renfrow started his Clemson career as a walk-on after turning down scholarship offers from several FCS programs. 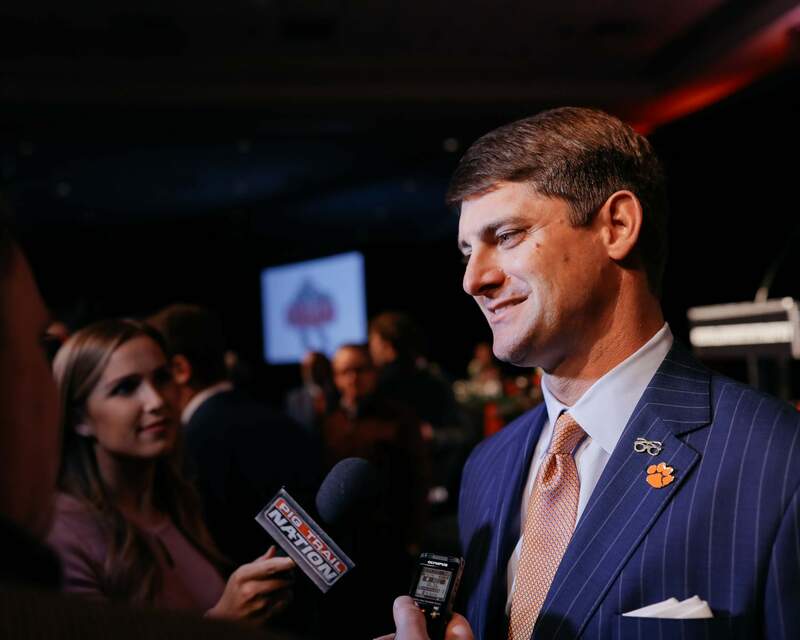 He has since become one of the most prolific receivers in Clemson history. 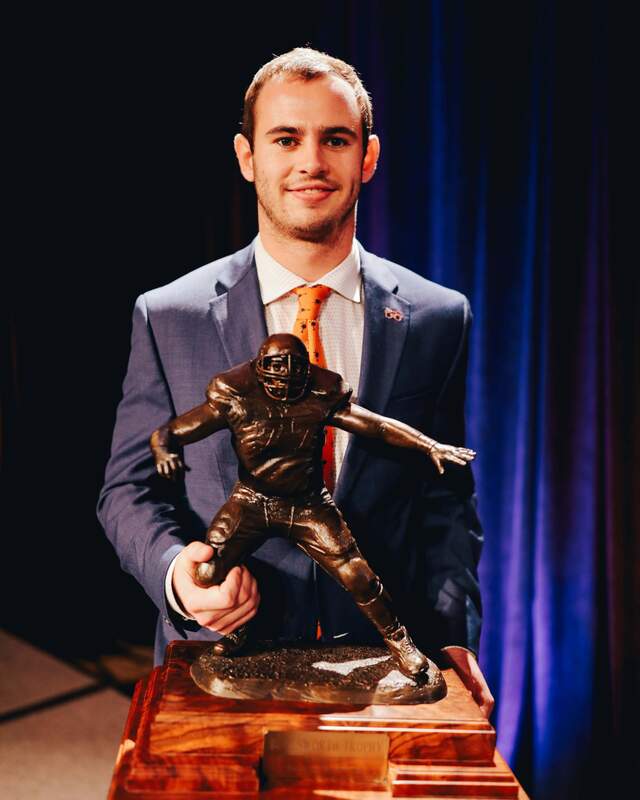 Renfrow has 43 receptions for 472 yards and a touchdown this season for the No. 2 Tigers (13-0). 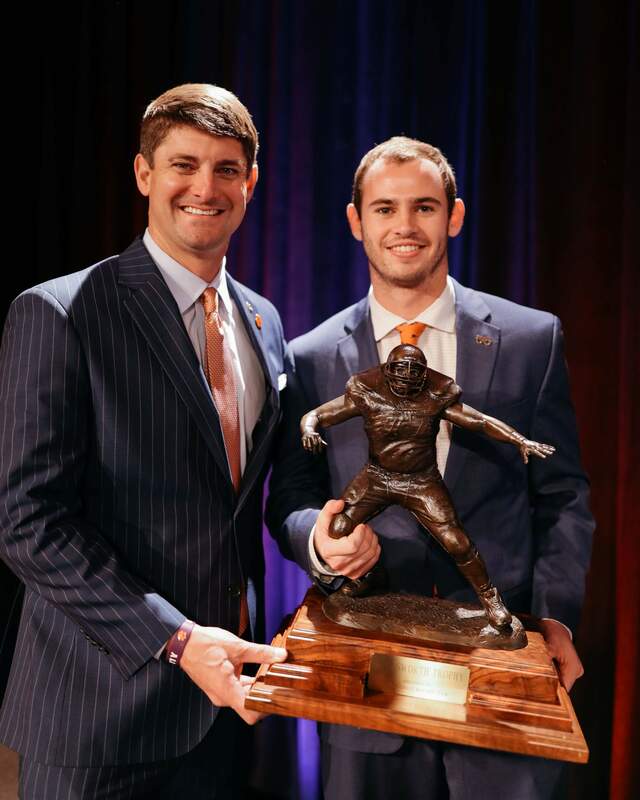 He had a 17-yard receiving touchdown in Clemson’s 49-21 victory against Georgia Tech. 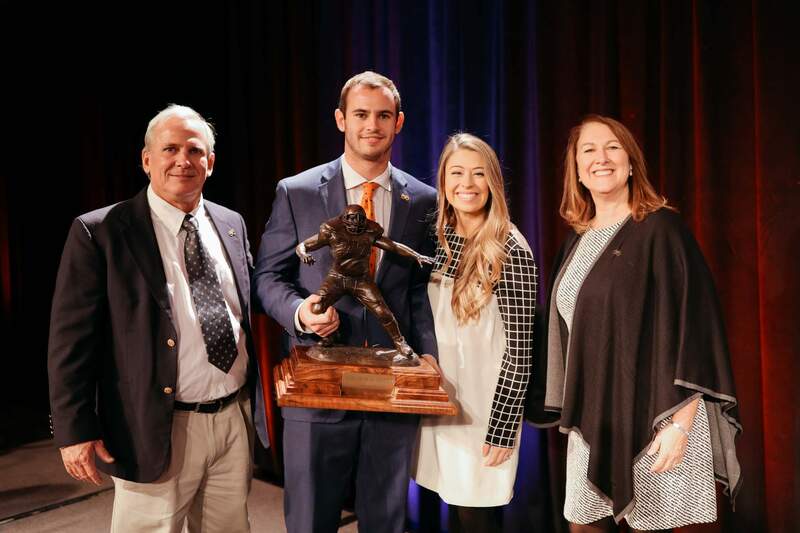 Renfrow also appeared at wide receiver, punter and quarterback in a victory at Wake Forest. 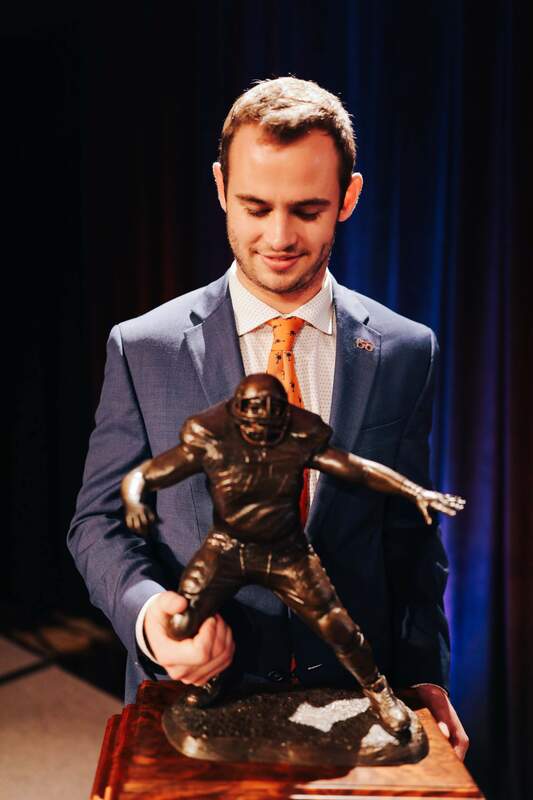 Renfrow, a Third-Team All-ACC selection in 2018 who has four combined receiving touchdowns in two national title game appearances against Alabama, graduated in May with a degree in economics. 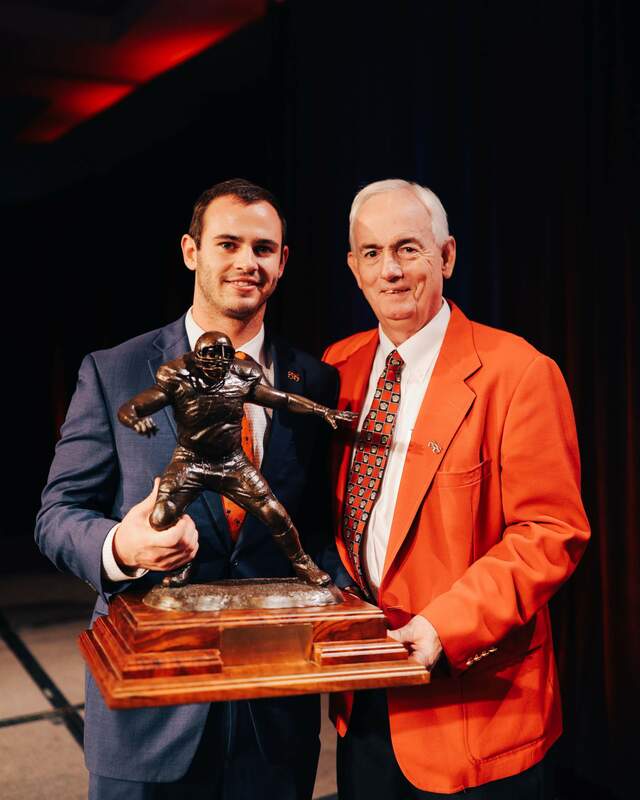 In his career, Renfrow has 180 receptions, fifth most in Tiger history, for 2,061 yards, 11th most in school history. 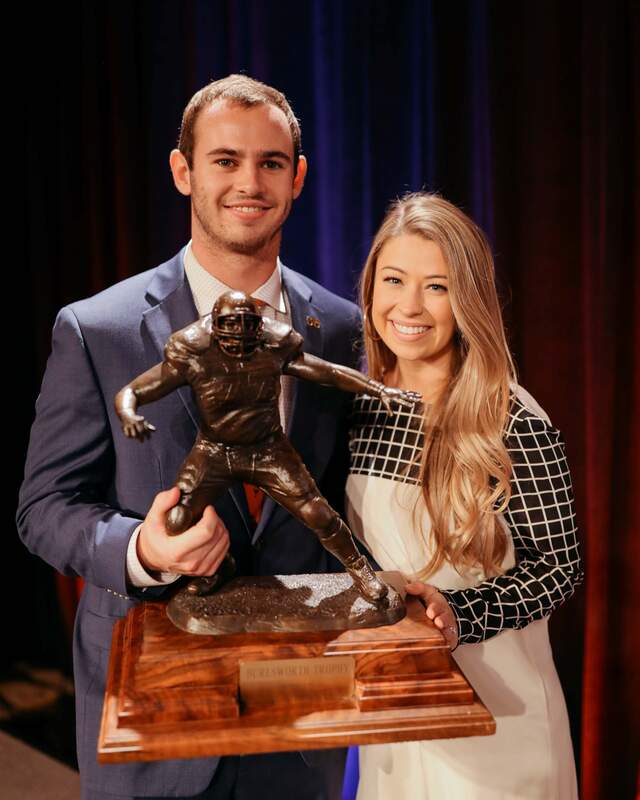 He has been responsible for some of Clemson’s most memorable performances, including a seven-catch, 88-yard, two-touchdown performance as a redshirt freshman in Clemson’s first national championship game against Alabama, and he followed that performance the next year by catching the game-winning touchdown pass from Deshaun Watson against Alabama to secure Clemson’s second national championship. 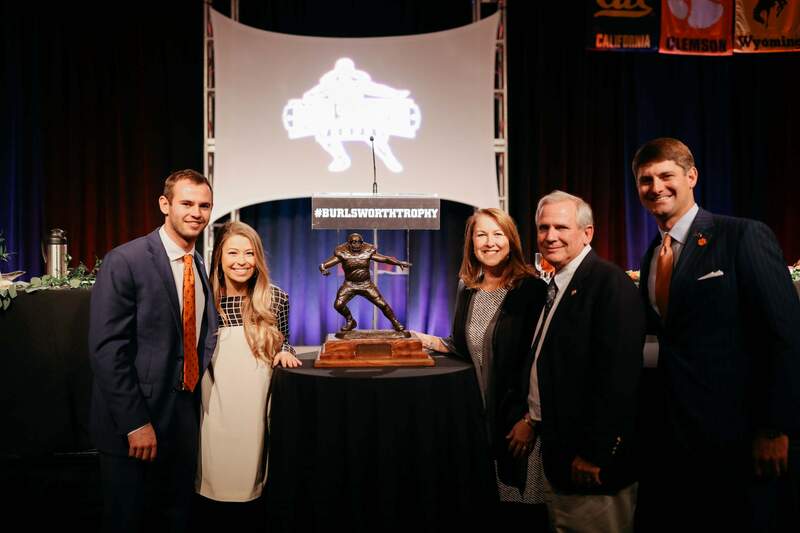 The award is named in honor of Brandon Burlsworth. 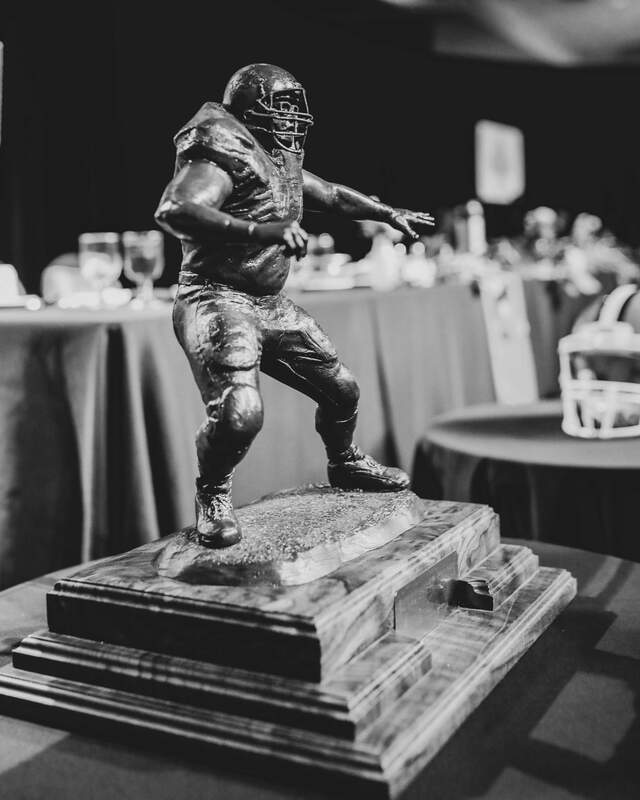 Without any Division I scholarship offer, Burlsworth walked on to the Arkansas football team in 1994, worked his way to becoming a three-year starter and was eventually named an All-American in 1998. 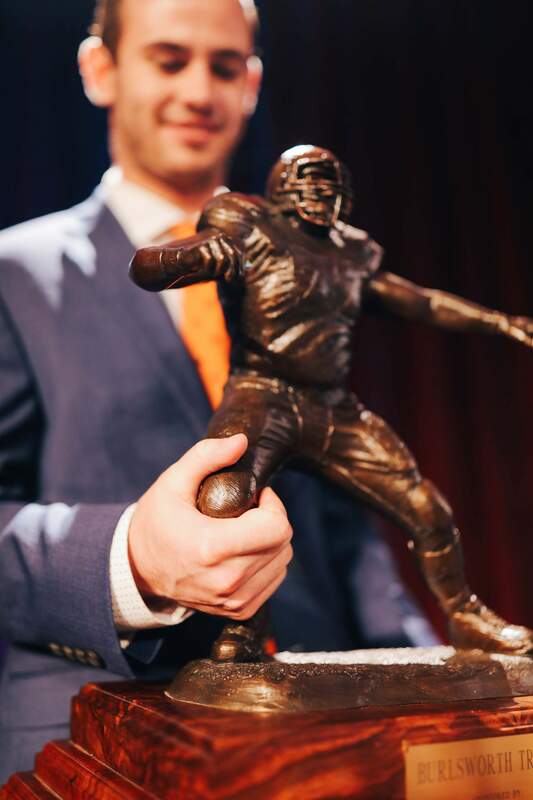 Burlsworth was selected as the No. 63 overall pick by the Indianapolis Colts in the 1999 NFL draft, but was tragically killed in a car accident 11 days later. 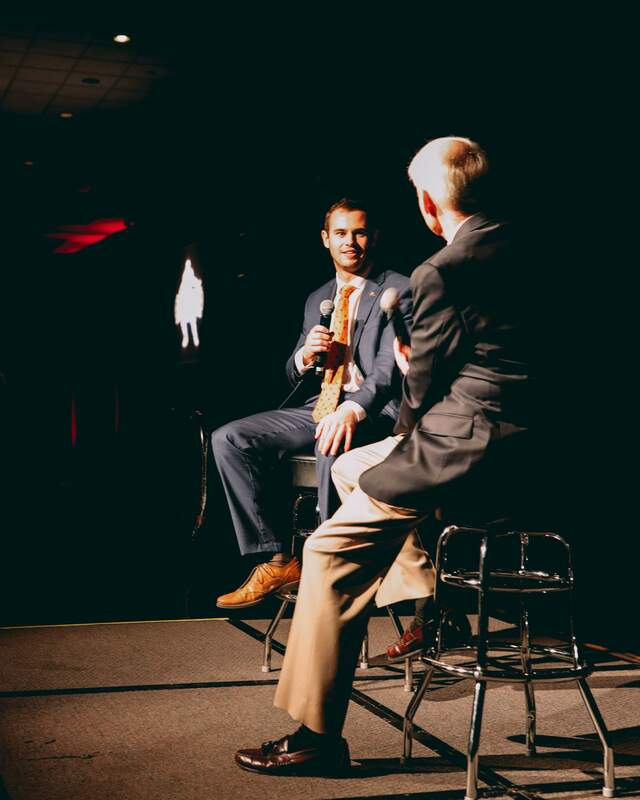 The Burlsworth Foundation was created in his memory and supports the physical and spiritual needs of children, in particular those children that have limited opportunities.